Backdrops & LED uplighting turns an ordinary event into something stunning. We are pleased to offer a range of colours and styles of uplighting and backdrops. When it comes to creating a great mood and atmosphere at your special event, it’s all down to the lighting. We know the importance of excellent uplighting no matter what the event, and can offer the uplighting and floor lamps you need to create the effects you want. Dave's display was incredible and added features such as lights were good value. Thanks again Dave. 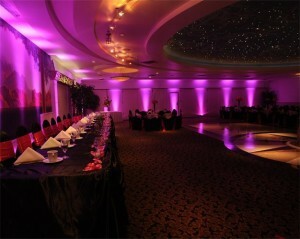 Uplighting can add depth to any venue that you may choose. 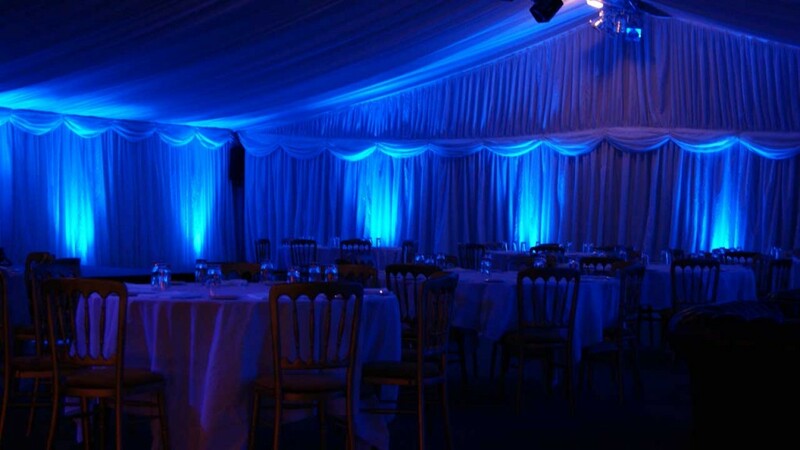 Beautiful Blue Uplighting makes this setting warm and intimate. 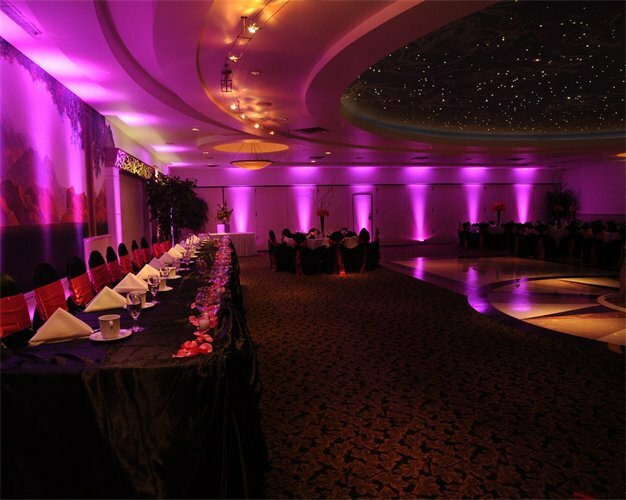 Uplighting will shine lights upward from the floor of your chosen venue, enhancing the features of your location. This can turn the darkest corners of your venue into well light and mood setting areas. 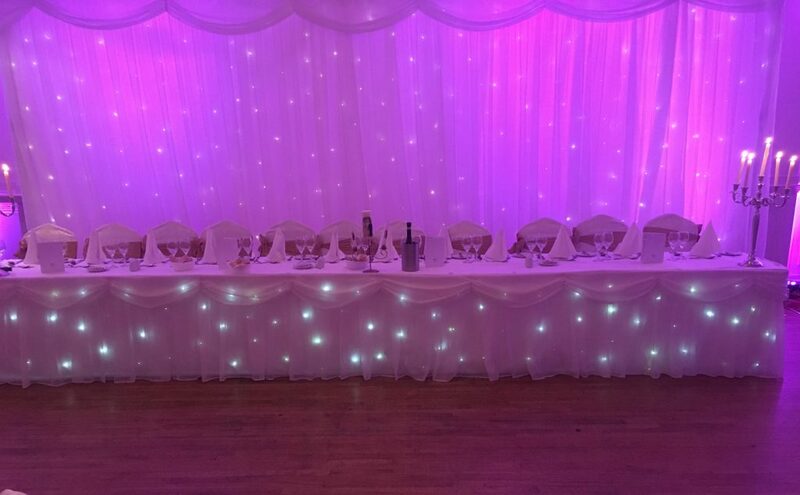 We now offer a range of Uplighting packages that can set the mood at your venue, and will help make your occasion memorable for years to come. These can be chosen in a range of colours to suit your styles and tastes as well as matching the venue. We offer you the very best in uplighting services to add the WOW factor to your event. A Fairylit or Sparkle backdrop behind your main wedding table can ensure that all the photos of you at your event have a professional feel to them. Our Professional Wedding DJ Backdrops can be custom fit for any venue and size of table. Our Backdrops can also be lit using bright lights that will add an extra touch of magnificence to your chosen venue.